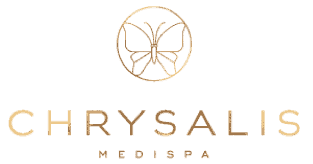 At Chrysalis Medispa your skin treatment will be performed by trained therapists. We do require you to consult with a therapist prior to undergoing any clinical skin treatment. These consultations are complimentary and are to ensure the safest and most effective outcome for your skin. All clinical skin treatment therapies are finished with skincare serums, SPF and mineral makeup if required. A consultation with a qualified therapist is a great place to start to refresh your skin routine or as the first step in determining the products and/or treatments required to address your particular skin concerns. Your consultation is obligation-free and really servers as a way for us to get to know you and your skin. Medifacials are a great place to start improving your epidermal function before moving on to more aggressive treatments, or simply as a pick-me-up in between your usual appointments. Our customised medifical is tailored specifically to each individual skin and can include deep cleanse, enzyme treatments, steam, extraction if needed and custom mask. There’s a reason why Hydrafacial MD is found in every five-star cosmetic clinic worldwide! This resurfacing procedure thoroughly cleanses, extracts, and hydrates the skin all in one skin treatment. It is a non-invasive procedure which delivers instant results with no discomfort and no downtime. The Hydrafacial MINI is the perfect express treatment for busy people. It includes the three main Hydrafacial steps – deep cleanse, vortex extraction and the antioxidant hydrating infusion. Indicated for: Premature Ageing, Acne, Congestion, Pigmentation, & Rough Texture. Peels range from superficial to deep. We have a huge range of peels and whilst some are fantastic for immediate brightening and freshening, others are targeted towards long-term results. Peels use specific ingredients including alpha and beta hydroxy acids, enzymes, and retinol, to remove dead cell buildup and stimulate the skin’s own exfoliation processes. Choosing the appropriate peel for your skin is determined by your concerns as well as your current skin health. Some skins must be pre-prepared on cosmeceuticals to ensure a safe and effective outcomes. Downtime varies so please discuss with your therapist. This warm, relaxing treatment utilises three different coloured lights at varying wavelengths to activate a reaction in skin cell activity. LED is especially useful where speedy healing is desired. For example after surgical procedures, ablative laser, or burns. Includes a skin cleanse, customised serums, and SPK to finish. Skin needling causes a controlled wound within the skin to encourage its own natural repair processes. A course of Dermapen Skin Needling stimulates the skin’s epidermal growth factors and eventually results in the production of new collagen. Downtime varies between individuals but generally the skin remains pink, warm and tight for 1-2days. This can be covered by mineral makeup. Protege Elite utilises radio frequency to firm and tighten the skin. Protege Elite is not a performed as a single treatment but rather as a course of four treatments, spaced 2-4 weeks apart. It is useful for smoothing fine lines, wrinkles, and pores which are a s result of intrinsic and extrinsic ageing. There is no downtime associated with Protege Elite treatments. Laser Genesis is a non-ablative, comfortable and proved laser treatment designed to strengthen skin and reduce the appearance of redness. Some skins do need to be prepared with a pigment-inhibiting product prior to commencing treatment. There is no downtime associated with Laser Genesis. Upon consultation, larger or more complex vascular lesions can be treated as a medical concern. Vascular lasers selectively target unwanted or abnormal blood vessels in the skin, whilst minimising damage to the surrounding normal skin structures. Vascular lasers selectively target the red pigment in blood vessels. This enables us to treat vascular or red blemishes with minimal effect on surround skin. Laser hair reduction is speedy and offers amazing comfort, combined with safety and results. In addition to the obvious cosmetic outcomes, some medial conditions can also be improved by removing excess hair under medical instruction. The Cutera Limelight system enables a safe, effective system for clarifying skin tone. Some skins do need to be prepped on a pigment-inhibiting product prior to commencing treatment. There is no downtime associated with IPL treatments although there may be some temporary superficial discolouration in the skin following a treatment. Cosmelan is the gold standard for pigmentation removal. With no need for laser or IPL, Cosmelan is safe for all skin colours. There is significant preparation and downtime associated with Cosmelan, so consultation with a therapist is required. CoolSculpting is the world’s most well-researched spot fat reduction system. CoolSculpting is non-invasive and uses a process called cryolipolysis to permanently reduce fatty bulges in areas such as the tummy, hips, and inner thighs. Consultations are required prior to treating. Kleresca® is a breakthrough treatment that significantly and comfortably improves acne with a demonstrated safety profile. Kleresca® harnesses the power of BioPhotonics to safely treat acne and stimulate the tissue’s own repair system. The treatment kills bacteria in the skin and initiates healing.